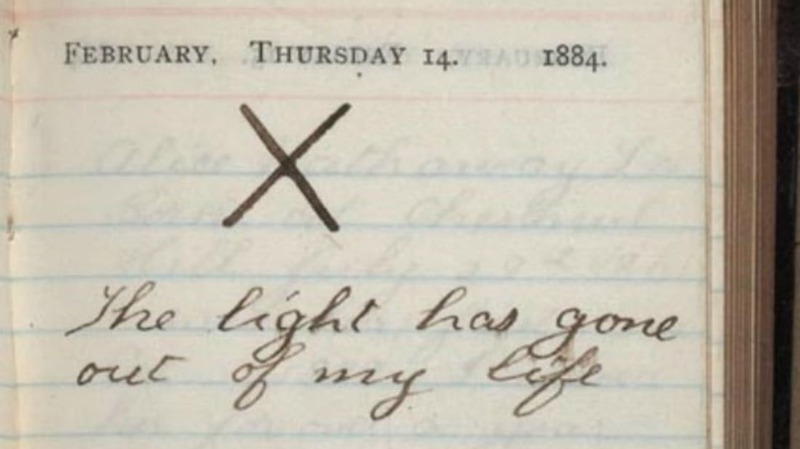 February 14, 1884 should have been among the happiest times in Theodore Roosevelt’s life. Two days earlier, his beloved wife Alice (pictured below) gave birth to their first child. 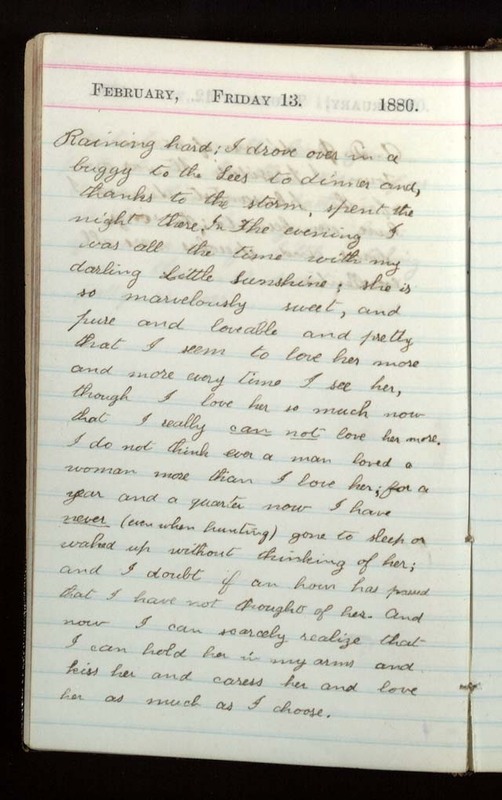 By all accounts, Roosevelt was madly in love. He waxed poetic about Alice in his diary on a regular basis and was thrilled to start a family. The New York state legislature was in session when she gave birth, so Roosevelt was working out of town and received word of his new daughter by telegram. The excitement didn’t last long—he got another telegram the next day, informing him that his wife had taken a turn for the worse. It turned out Alice had kidney failure, then called Bright’s Disease, which had been hidden by the pregnancy. By the time Roosevelt was able to reach her side, Alice was semi-comatose. She died in his arms a few hours later. While Alice was slipping away, her mother-in-law languished a few bedrooms down. Martha “Mittie” Roosevelt, Teddy’s mother, died of typhoid fever several hours before Alice passed. She was just 48. 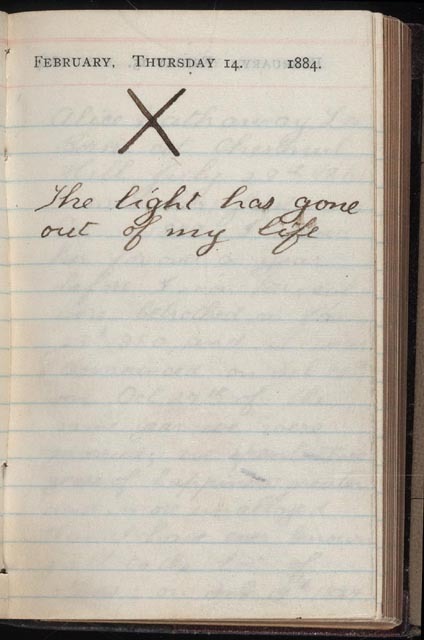 Roosevelt marked the day in his diary with a big “X,” noting, “The light has gone out of my life.” A double funeral was held for the women, with the baby’s christening the day after. Devastated, the future president gave his sister temporary custody of the baby, who was named after her mother. Roosevelt decided not to seek reelection, and moved to the Dakota territories to take up cattle ranching. Roosevelt struggled to make a go of it out West, but moved back to New York on a more permanent basis when a blizzard killed his entire herd during the winter of 1886-1887. He regained custody of his daughter when he returned, but refused to discuss her mother ever again. Though he may not have gotten over Alice's death, Roosevelt did remarry in 1886. He and second wife Edith Carow had five children together. Teddy also got back into politics, campaigning for Benjamin Harrison in 1888 before being appointed to the U.S. Civil Service Commission. After that, of course, he became governor of New York, Vice President, and President. Despite his happy, prosperous life after Alice, when Roosevelt sat down to write his 1913 autobiography, he found it was still too painful to look back on her tragic death—there's not a single mention of her in the entire book.